Every time I pick up a box or bag of Clementines at the market, the old gold-rush ballad “Oh My Darling Clementine” runs through my head. It’s a sad little song (Clementine drowns), but purchasing the Clementines is itself a happy moment, especially at this time of year when the fruit is wonderfully abundant. A cross between a willowleaf mandarin orange and a sweet orange, Clementines are sweet, juicy and less acidic than oranges, plus they are easy to peel and they can be effortlessly separated into 7 or 14 segments. Another of this fruit’s attributes is that segments of Clementine can be a delicious addition to a cocktail. Personally, I find gin an excellent partner for Clementine’s refreshing, juicy flavors, especially dry gin with an herbaceous character. One such spirit is Forager Gin, from Maryland’s McClintock Distilling. I love this serious gin for its handsome packaging as well as its beautifully balanced flavors. Said to represent the kind of wild plants one might discover in the Appalachian Mountains, Forager Gin offers savory impressions of juniper against a subtle undercurrent of earthy and floral elements. Most distinctive to my palate are the delicate suggestions of wild fennel and mint. And in “Oh My Darling,” the clementine’s delicate citrus flavors nicely reflect the gin’s own faint traces of citrus. 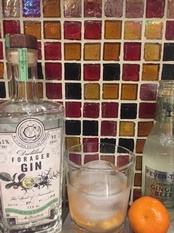 (The cost for a bottle of Forager Gin is around $35, which is about average for a 750ml bottle of small batch, craft gin). Place the Clementine segments in a lowball or other cocktail glass. Add the gin and bitters and muddle lightly. Top with the ginger beer and add ice. Serve with a toothpick or even a small fork (such as an oyster fork) for retrieving the citrus. The newly established Gambal-Work partnership in the Sta. Rita Hills of California has just released their first wines, a pair of exquisitely exciting Chardonnays--some of the best I’ve had from California. 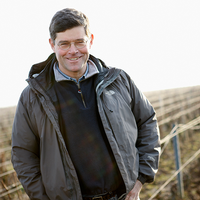 The enterprise draws on Alex Gambal’s 25 years of experience in Burgundy, where he is still making wines under the Alex Gambal label and that of Peter Work, a Dane who has considerable experience with vineyards in the Sta. Rita Hills. They are joined by Jeff Newton, who has 30 years of experience with the viticulture of Santa Barbara County, and Michael Mayfield, who is in charge of the operation’s finances. The wines are from two vineyards, Bentrock and Francesca, which lie on the western part of the Sta. Rita Hills appellation. Although the vineyards are separated by approximately 7 miles, as the crow flies, the wines are far more different than the proximity of the vineyards suggests. Since the winemaking and grape variety is the same, the differences can be explained only by the different locales of the vineyards. It is a stunning example of how terroir--the French word for a sense of place--exists and is thriving in California. Gambal explains that the soils and exposure of the vineyards are, indeed, very different. The Gambal-Work Francesca Vineyard Chardonnay (95 points, $65) is breath-takingly alive and vibrant. A stone-y mineral quality dominates and enlivens the palate. Pure and linear, the focus is definitely on the mineral aspect, not on the fruitiness of the grape. It’s a long and refined wine that tingles the palate with each sip. 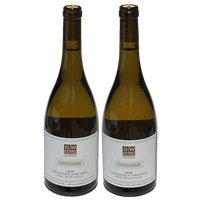 A chalk-y mineral component in the Bentrock Vineyard Chardonnay (95 points, $65) grabs your attention and nicely offsets the wine’s restrained fruitiness. It’s a touch riper and rounder than their Francesca Vineyard bottling, but all the elements are beautifully integrated in this wine, whose charms explode in the finish. If forced to make a comparison with Burgundy (and after all, that’s Gambal’s breeding ground), the Francesca bottling speaks of Puligny Montrachet while the Bentrock evokes Chassagne-Montrachet. 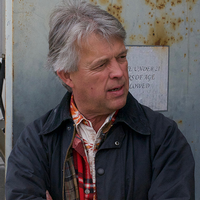 For Gambal-Work, vineyard designation is definitely not a marketing tool--it’s the real thing. Invite friends over and try them side by side. As of now, the wines are available only at winery or via shipment within California or to Colorado, North Carolina, Washington, D.C. and Wyoming. They’re worth a search. Full disclosure, I’m a friend of Gambal and am likely underscoring the wines.